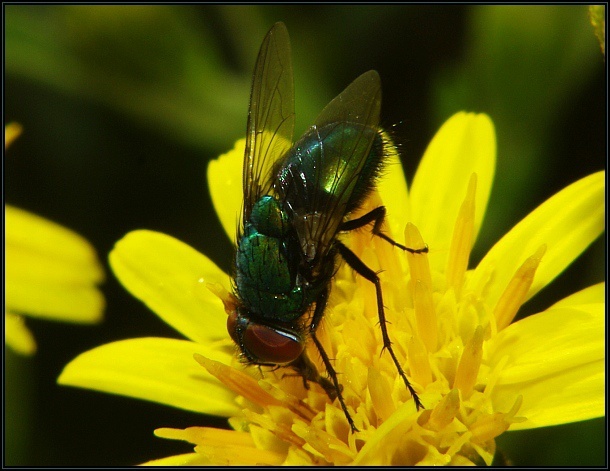 The Green Blow fly (Lucilia sericata) is a common fly found in many different areas. It lays its eggs on dead or necrotic tissue, which is the food of its larvae. 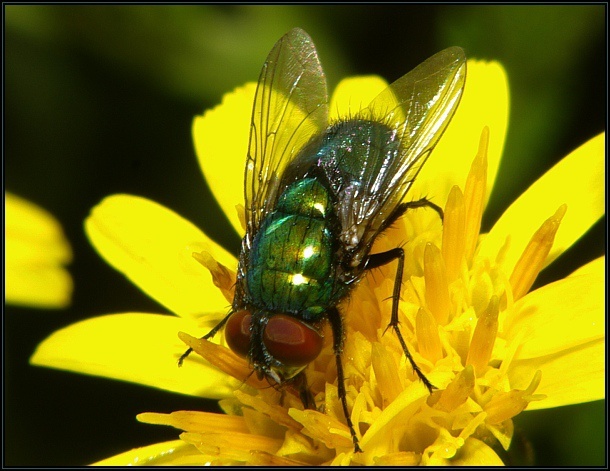 The fly has a metallic green colour which is used to distinguish this species from related genera, however there are similar species like L. cuprina, which are difficult to distinguish from this species.